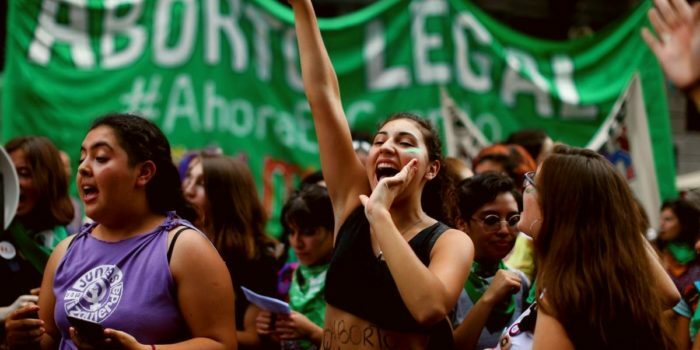 As 2018 has been dubbed the “year of feminism” in Chile, organizers are now calling for a “General Feminist Strike” on March 8th, 2019. 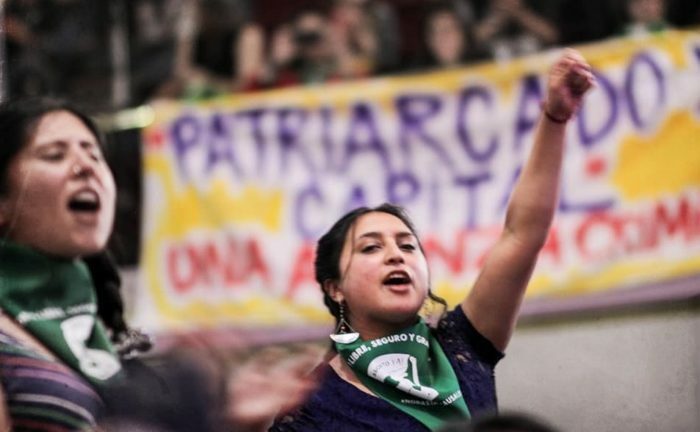 As part of the mobilization a massive Women In Struggle Conference (Encuentro Nacional de Mujeres que Luchan) is planned for this coming weekend, December 8-9th. 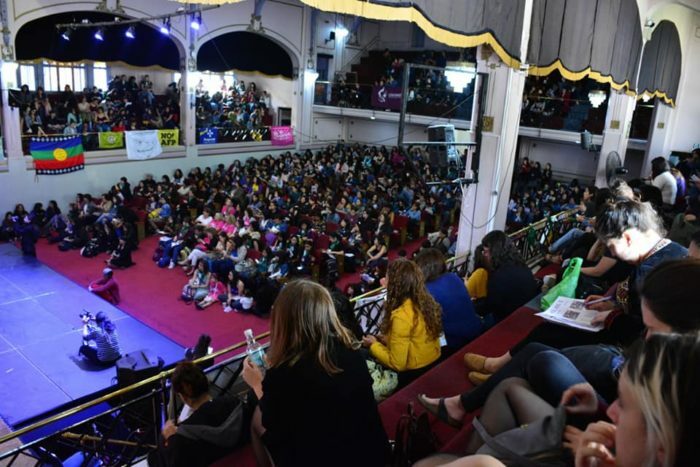 The conference is expected to draw over 1,500 women and was preceded by over 40 “pre-conferences” held in October and November throughout Chile with different themes and topics. But organizers are in great need of materials to make the conference a success. 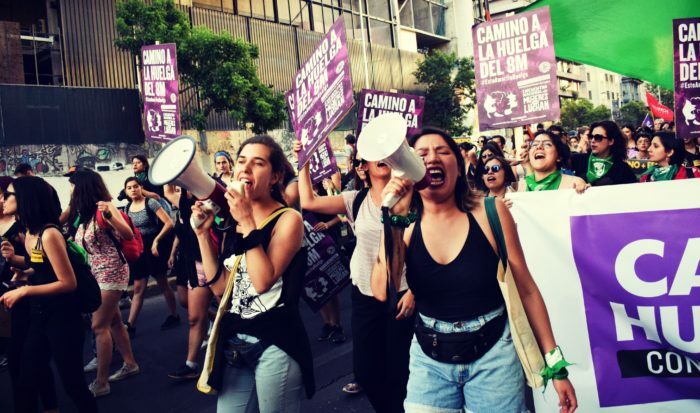 If you support building an international feminist movement and a feminist politics rooted in social movements, consider donating. 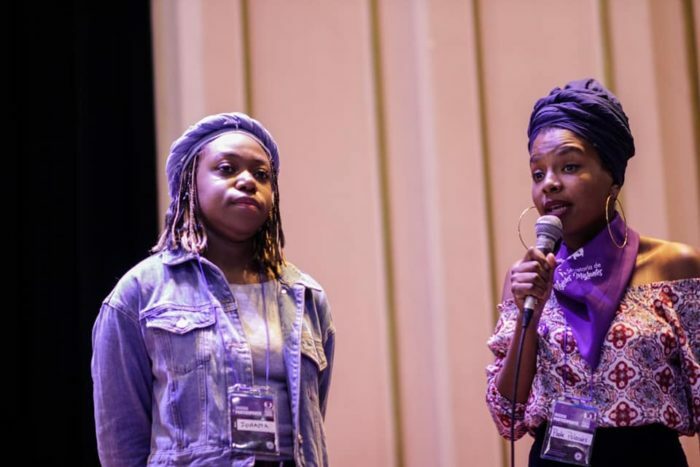 Watch the video and visit the conference organizers fundraising site to contribute. 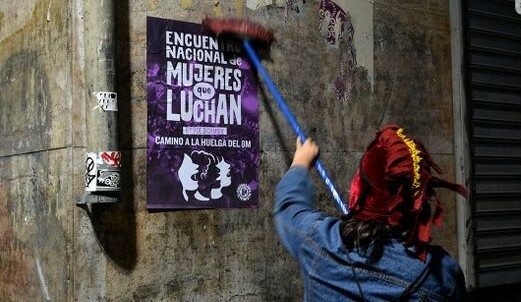 ¡Arriba el feminismo que va a vencer! 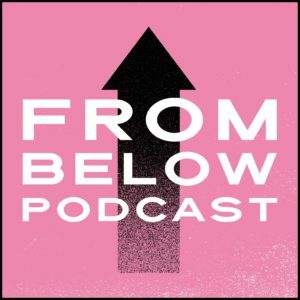 / Up with the feminism that will win! 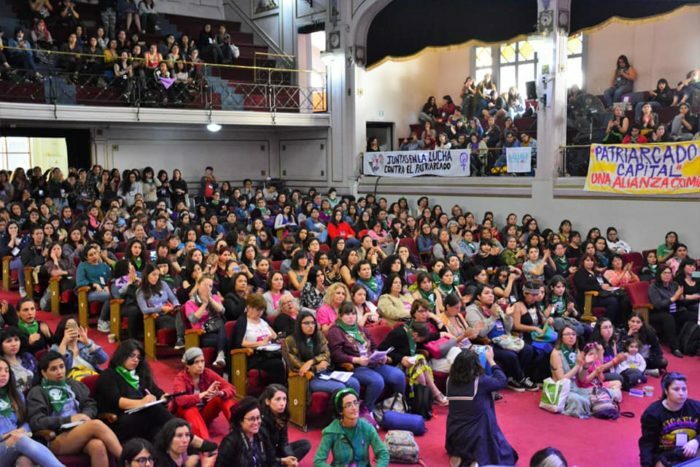 Below are photos from Encuentro Nacional de Mujeres que Luchan. 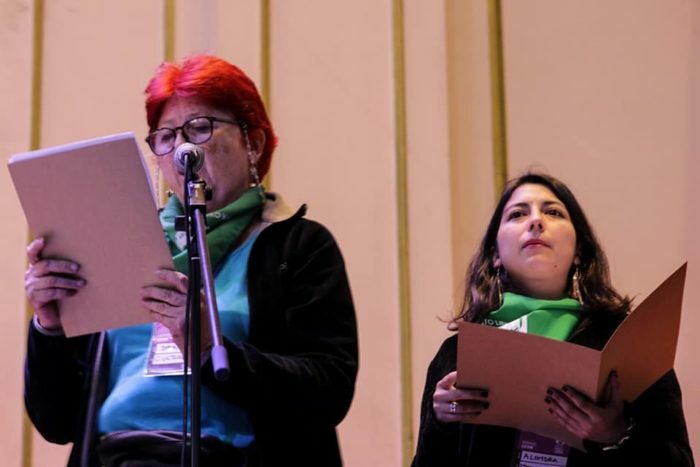 Organizers continue to raise funds for conference expenses and any remaining funds will go towards March 8 organizing efforts. Wheat pasting posters in preparation for the conference. Another view of the conference assembly. 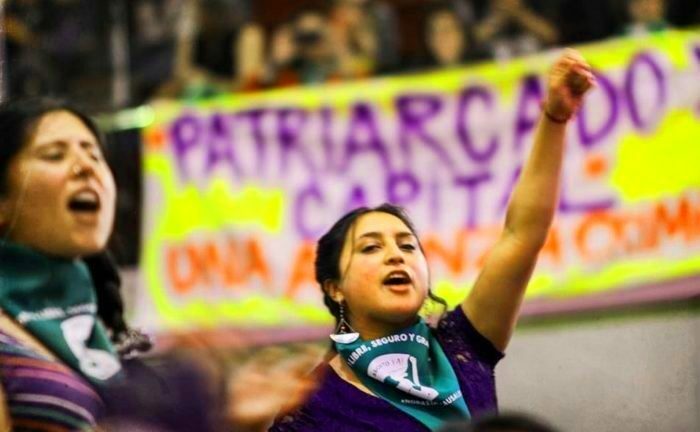 Mapuche indigenous activist. 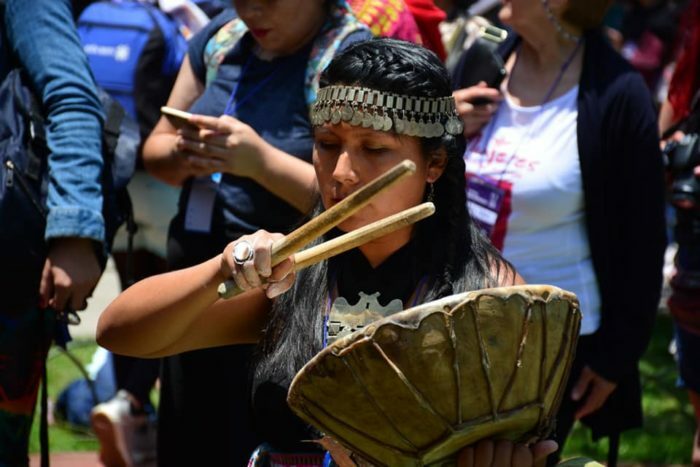 The Mapuche are the native peoples of Chile and Argentina. Promotional and fundraising video by conference organizers.